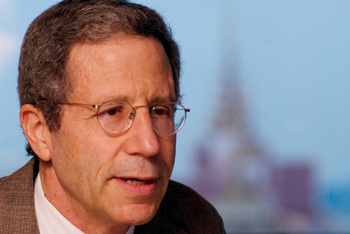 I agree with Professor Eric Maskin, who says that Cambodia has been at risk from a growing gap between rich and poor (“Nobel laureate to push PM on school reform”, January 20). An unbalanced distribution of the wealth of the nation has worried many scholars besides Maskin, including David Jonathan Gross, who is also a Nobel laureate. Cambodia can be viewed from two perspectives: progressive by comparison and progressive in actuality. If we compare the Kingdom to the past, we can see that anti-colonialism, the Cold War and globalization have played a significant role in Cambodia’s recent history. The era of Lon Nol and Pol Pot must be evaluated in light of global cold war politics and the opposition between communism and democracy. Cambodia had no peace during this period, and the intractable conflicts led to mass killings and foreign intervention. Though the media have focused considerable attention on this part of the Kingdom’s history, qualitative and quantitative progress since that time has sometimes been overlooked. The Paris Peace Accord of 1991 brought Cambodia a measure of economic liberalisation and global connectivity that differed greatly from the cold war era and Pol Pot’s regime. But actual progress is more elusive. Maskin says that wide poverty gaps eventually lead to social deterioration. As well, Gross has addressed the importance of providing more opportunities to the Kingdom’s youth. The government must provide greater incentives to attract youths to public service. Actual progress requires the good will of government leaders to develop genuine economic solutions for sustainability and a more just distribution of wealth; to promote democracy through a free and fair media; to safeguard the Kingdom’s natural resources and use them for the benefit of all Cambodians; to curb the mandate of power for top government leaders; to respect the Kingdom’s diverse ethnic minorities; to improve the quality of education and the opportunities for graduates entering the workforce.